New York rapper 50 Cent has been making big claims for the last half-decade, promising two different follow-ups to his 2009 effort Before I Self Destruct. While both Street King Immortal and Animal Ambition have been repeatedly delayed, the latter now has a proper release date. According to Fiddy himself, Animal Ambition will finally hit shelves on June 3. The album will be available to pre-order on March 18, at which point fans will receive two brand new tracks. An additional song and video will launch each week leading up to the album's release. The delays in the release of both albums have been caused by the rapper's tumultuous relationship with Interscope and Shady Records. Both parties have clashed over how the albums should be promoted, and Street King Immortal was even cancelled for a while. 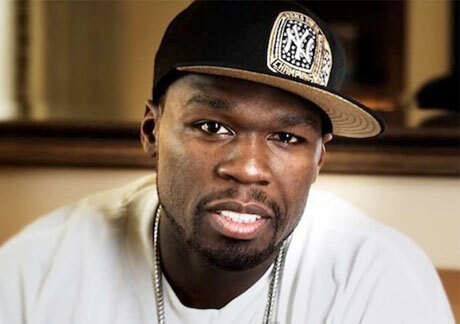 As a result, 50 Cent and his G Unit Records imprint have cut ties with Interscope and Shady Records, signing on with Caroline Records, an independent affiliate of Capitol Records/UMG. Ostensibly, that means 50 Cent is an indie artist now — listen for tracks from Animal Ambition to start popping up in your favourite bougie espresso spot. In a statement, Shady Records head and personal friend of Fiddy, Eminem, said, "Both myself and Shady Records are grateful to have had the chance to play a part in 50′s career. Shady simply would not be what it is without 50 Cent. I've developed a great friendship with 50 over the years, and that's not going to change. We know 50 will have success in his new situation, and we remain supporters of both him and G-Unit." Provided it doesn't get delayed again, Street King Immortal is set for release in the latter half of 2014.